A Hilarious Take on just about Everything Associated with Air Travel. Q Getting seamlessly upgraded to Business Class. Q The hows and whys of micromanaging the pilots. Q Action plans to counter the airlines Technical Snag routine. Q Sure shot strategies for winning the affections of flight attendants. Q Awesome icebreakers to start conversations with attractive co-passengers. Q How smart executives deal with the Walk of Shame to the economy section. Q How a water bottle dramatically improves flight safety. Rest assured, your flying experience will never be the same again! 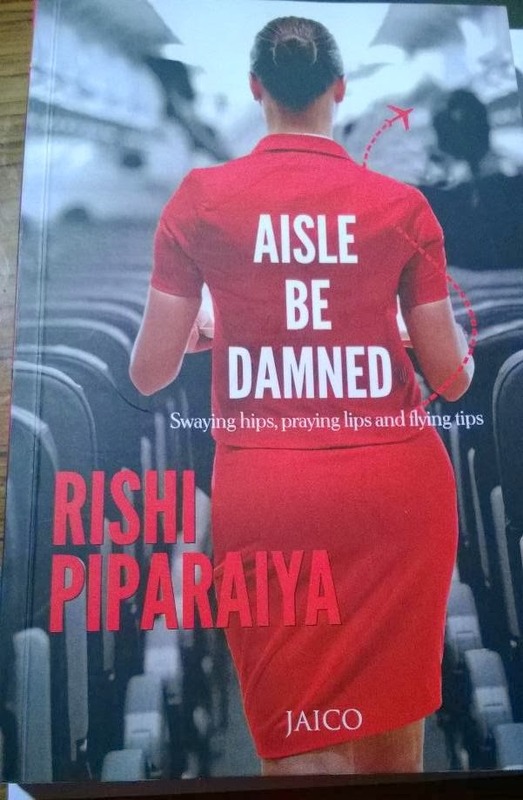 Rishi Piparaiya is an over-worked and over-traveled corporate executive based in the skies, 38,000 over India. The author himself… You… Me and all of us! I am not joking… Really! Firstly, the book blurb is catchy. It arouses curiosity. The suaveness of the cover page further adds to the anticipation. It is sensual while the sub-title - Swaying hips, praying lips and flying tips ­– is rhyming and welcoming! In short, one look is enough for anyone to pick the book and stretch their legs for a read. What matters is what awaits moving forward… The book is thoughtfully bifurcated into different chapters; the chapter heads are equally interesting. And the beauty is the book turns out to be everything it promises. It meets all our expectations and startles us with its out-of-the-world witty and catchy narrative style. Outcome? Your stomach churns because you have laughed aloud a lot. Your parents pray to God that no evil spirits have cussed on you. Whereas, you fervently laugh more. No. This is not an overstatement. The beauty of this book is that it will appeal to all. Frequent air-travelers… Those who have flew very few times… And the rest of the chunk who wich they had flied and hope optimistically that they fly someday. This book is all about airplanes… From the moment you see the airport to the moment you drive off the airport from your destination. The author has emphasized on almost every aspects that the book become addictive. It is simply un-put-down-able! The book can be finished in one go and in no time you will be left wondering how time fluttered so easily and rapidly. The book is a joyride… In the air… Midst of clouds… Swaying hips… Praying lips! Oh! I am seriously in love with this book! This book can be addictive and obsessive. The book is awesome. It gives us everything that it promises. The book stole my heart! Jaico publications for giving away such a wonderful book! Q I have a 9 to 5 job – 9am to 5am. Q Let the only things higher than the airplanes in the sky, be the stories that I tell to others and the castles that I build for myself.